The Pakistan Muslim League-Nawaz party has issued a statement dismissing all claims with regard to former Pakistan Prime Minister Nawaz Sharif's remarks on 26/11 Mumbai terror attacks, stating it has been 'grossly misinterpreted' by the Indian media. The statement shared by Nawaz Sharif's daughter, Maryam Nawaz Sharif, on Twitter read, "The PML-N would like to set the record straight on the interview of PML-N Quaid carried yesterday by DAWN. At the outset, statement of the Quaid has been grossly misinterpreted by the Indian media." "The PML-N as the country's premier popular national political party and its Quaid need no certificate from anybody on their commitment and capacity to preserve, protect and promote Pakistan's national security," it further read, criticising opposition leaders, who have been questioning his loyalty towards Pakistan. On May 11, Sharif in an exclusive interview to a Pakistan daily, The Dawn, had appeared to admit that terrorists sent by Pakistan were responsible for the 26/11 attacks. "Militant organisations are active. Call them non-state actors, should we allow them to cross the border and kill 150 people in Mumbai? Explain it to me. Why can't we complete the trial?" Nawaz noted in the interview in a reference to the Mumbai attacks-related trials which have stalled in a Rawalpindi anti-terrorism court. The Mumbai attacks-related trials are stalled in a Rawalpindi anti-terrorism court. United States President Donald Trump had accused Pakistan of giving nothing to the US but "lies and deceit" and providing "safe haven" to terrorists. Sharif, 68, was disqualified by the Supreme Court for not being "honest and righteous" as he failed to declare in 2013 a salary he got from the company of his son in the UAE. 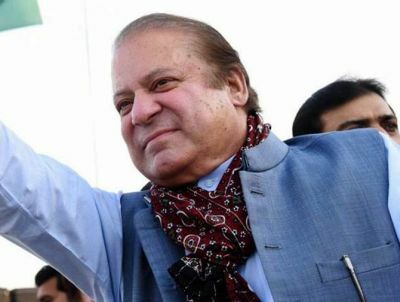 In February, the apex court also disqualified Sharif as the head of the ruling Pakistan Muslim League-Nawaz. The relations between the military and the Sharif government were at its lowest ebb in October 2016 when the latter told the former to act against home grown militant groups or face international isolation. The Mumbai attack case has entered into the 10th year but none of its suspects in Pakistan has been punished yet, showing that the case had never been in the priority list of the country that appears to be keen to put it under the carpet. A number of Pakistani witnesses both official and private testified and provided evidence against the seven accused, but the Pakistani authorities have been insisting on sending Indian witnesses for reaching a verdict in the case. Some 166 people were killed in the attack carried out by 10 LeT men. Nine of the attackers were killed by police while lone survivor Ajmal Kasab was caught and hanged after handed down death sentence.